Our list of the top and most popular chess clocks; Including analog, digital, professional, and low-cost clocks as well as in depth buyer’s guide. Any serious chess player needs to have a reliable chess clock. While there are a number of online tools claiming to serve the same function, a lot of times an app just won’t cut it. There’s certainly something to be said for the aesthetic of a stalwart, physical clock at your side, counting off the seconds. It takes away from the spirit and intellectual nature of the game to interrupt your playtime by fiddling about with your phone, trying to make sure that the clock is working correctly. You’d definitely be on the receiving end of a strange look or comment from your opponent in that situation! Materials: Is the chess clock made out of primarily wood, plastic, or metal? What is the expected longevity of such a material? Button type: You want a chess clock with an easy to press button. A design with hard to reach or poorly designed buttons can cause you to waste precious time during the chess match. Clock type: Whether your chess clock is analog or digital will make a big difference in its readability, functionality, and aesthetics. You’ll need to determine which style works best for your needs. Brand: If you find a chess clock from an unknown brand, make sure to do your research and be sure that the company has high quality standards. Likewise, make sure that any new product from an established brand is well received before you commit to buying it. Price: Of course, you’ll also need to find a balance of these features that fits within your own preferred price point. It can be difficult for those on tight budgets, but not impossible. 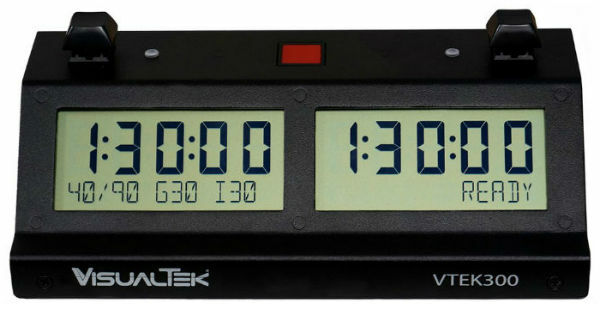 The VTEK 300 Ultimate Chess Clock is a very popular choice among chess players, and one of the best selling electronic chess clocks of 2019.It comes in your choice of three colors – black, white, or blue, and there are even matching carrying bags available for it. The cost is just a bit more than the Chronos clock. 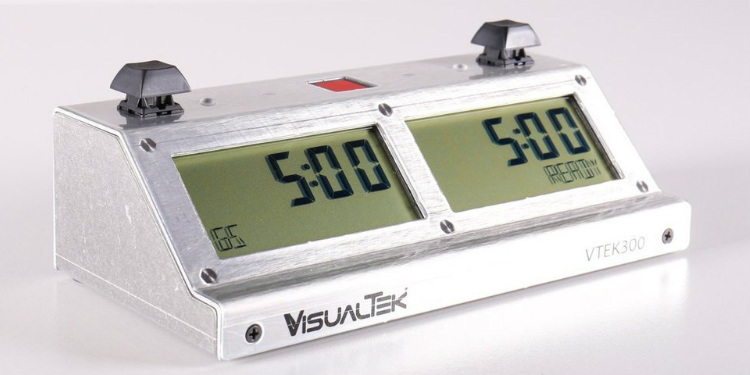 The VTEK 300 Ultimate Chess Clock is made in the USA and built to last. This speed chess clock has an accuracy rating of better than 1 second per hour, weighs 19 ounces, and comes with a 1 year warranty. The extensive, 11 page user manual will walk you through how to use all of its many features. This clock runs on 3 AA batteries, giving it over 850 hours of play time. The VTEK 300 Ultimate Chess Clock also has a built in low battery warning that will start to chime when you have about 12 hours of gameplay time left, giving you plenty of warning to be able to change the batteries in time. With this thoughtful warning, you never have to worry about being caught short in the middle of a close chess game with a clock that suddenly stops dead! This is one of the best analog chess clock for sale on the market in 2019. The German clockwork is housed in a durable wooden frame that will only grow more beautiful with age. The rustic aesthetic is one of the most common reasons chess players choose analog clocks over digital ones. The Analog Garde Classic Chess Clocks have less features, of course, but the simple beauty of their wooden exteriors and large, round clock faces keeps people coming back to them. When not in use, a chess clock like this could easily decorate a bookcase or study, lending a dignified air to any room. The Analog Garde Classic Chess Clock is built with the highest quality materials to exacting specifications and will last you a very long time. It comes in a classic version and also a version with Braille lettering marking off the numbers on the clock for those with minor visual impairments. It is an elegant choice for players who have no need of complex time settings and other features like that. If you’re looking for something simple and good looking to keep track of how long your turns take, and you don’t want to be overwhelmed with presets and time delays, This chess clock is the choice for you. If you’re looking for the best chess clock on the market, look no further than the DGT 3000 Digital Chess Clock. This is a state of the art, cutting edge chess clock that features all the bells and whistles. If you’ve ever had a chess clock that you wished had more features, presets, and overall functionality, or if you just want to make sure your first clock can do it all, The DGT 3000 Digital Chess Clock is definitely the one for you. The DGT 3000 features a huge display that shows you all sorts of info such as what period you’re in, which setting you’re using, whose turn it is, and of course how much time each player has remaining. It also shows the seconds ticking down right from the start of the timer, unlike other clocks that only display the seconds in the final minute of play. This allows you to keep a close eye on exactly how much time you are using during play. There are 25 different modes pre programmed onto this chess clock, and you can also add 5 more of your own design, giving you ultimate control and flexibility. The user’s manual will walk you through how to add your customized settings in a simple, easy to follow way. If you have an electronic chessboard, you may be interested to know that the DGT 3000 is fully compatible and can be hooked up to any DGT Electronic Chessboard for full functionality. If you really want to get the most out of this clock, though, you’ll pair it with the DGT Pi, which is the ultimate in smart chess products. 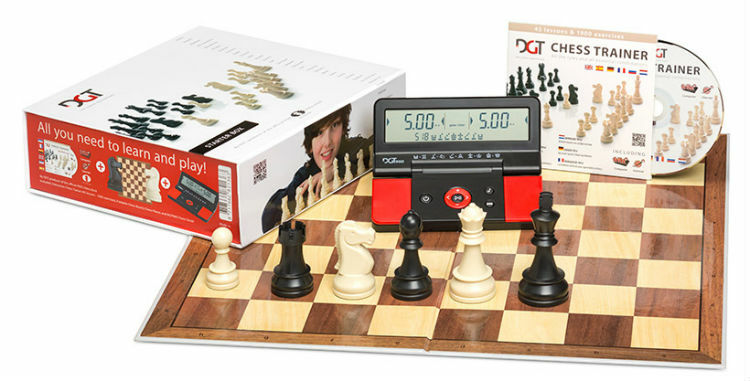 Together, these two DGT products offer the ultimate functionality for the serious chess player. The DGT 3000 comes with an impressive 5 year warranty that shows you just how much DGT stands behind the quality of their products. The ZMart Pro is a well known chess clock that packs in a ton of features while still being easy to use. Its characteristic large display can be easily read from a mile away, making it ideal for tournament use. It also comes in 3 different colors – black, silver, or blue, and clock bags are available for it at an additional cost. The price for The ZMart Pro Chess Clock is surprisingly affordable, for all that it offers. It features a sturdy, low profile design that means you don’t have to worry about knocking it off the table as you’re making your moves. The ZMart Pro chess clock also has a touch sensor stop that increases the clock’s durability because it has no moving parts to wear down over time. Its metal frame also ensures a long life for this little speed chess clock. This clock is simple enough for beginners and children to use for chess or jenga games, but robust enough in its features for professional players. The ZMart Pro Chess Clock is definitely a chess clock that will grow with you, and its durability means that it could well be the only chess clock you ever need to buy! What the DGT 2010 Digital Chess Clock lacks in style, it makes up for in functionality. Sure, it may look like something straight out of the 80’s, but if you don’t care too much about aesthetics, you can get a high quality chess clock for a bargain bin price. You can also purchase a colorful bag for this chess clock to jazz it up a little bit, or just to hide it for awhile. All jokes aside, it’s a really nice chess clock. It includes presets for popular game modes like Hourglass or Blitz, as well as timer functionality for games other than chess, including Scrabble and Canadian or Japanese byo-yomi. This version of the clock is an update on a previous version, which shows that DGT is always trying to improve upon its products and better adapt to the changing chess scene. This version of the DGT 2010 Digital Chess Clock is much easier to program than the last one, has a larger display, introduced a new lever mechanism, and amended some of the preset functions to abide by more popular regulations. Chronos has long been a respected name in the world of chess clocks, and the GX Chess Clock is one of their best products yet. This is a clock that you will see all over the competitive chess scene. In any tournament you enter, you’re bound to see at least a few of these popular chess clocks dotting the tables around you. The Chronos GX Digital Game Clock is such a popular choice for serious chess players because it offers superior reliability and durability when compared to many other chess clocks on the market. Its sturdy metal frame lets it take a beating and keep on ticking, while its robust set of preset programs ensure it can handle any situation you throw at it. This chess clock is proudly made in the USA out of the finest materials. It comes in several different colors, including red, yellow, blue, black, and white. More colors are being added all the time as demand for them increases. Also available for purchase are custom storage bags that come in a range of different colors and patterns. 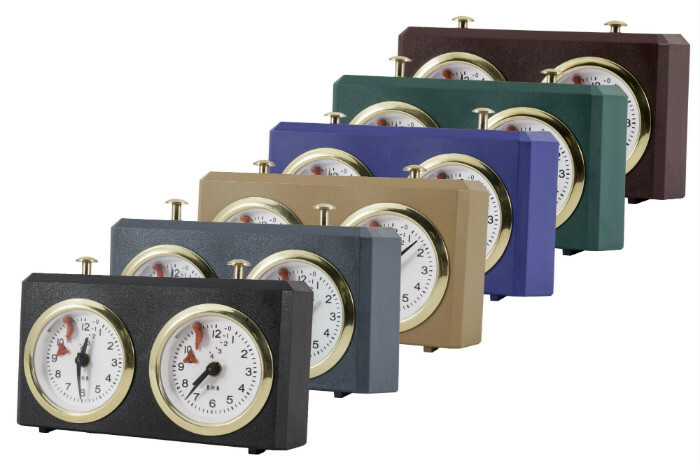 We do recommend purchasing the protective bag along with the case, since even though the steel frame of this clock can weather it all, the clock bag will keep your clock looking good for longer. The Chronos GX Chess Clock runs on three AA batteries which are included at the time of purchase. 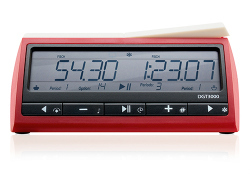 It measures 8.8″ (W) x 2.8″ (L) x 2″ (H) and features a time delay, increment mode, 4 different blitz presets, and 8 different tournament presets. Whatever you need this clock to do, it’s ready! The BHB Special Mechanical Chess Clock is, indeed, quite special. For one thing, it is a modern analog chess clock in a world that is increasingly being dominated by digital chess clocks. But another thing that sets it apart from the pack is its strikingly attractive design. The BHB Special Mechanical Chess Clock takes the traditional mechanical chess clock look and updates it into something that is timeless and beautiful as well as modern and chic. It is manufactured in Germany with a hard plastic outer shell that comes in 6 different colors – black, red, tan, green, gray, and blue. German engineering is what makes this mechanical clock run so well. It never needs batteries – just wind it up and you’ll be good to go! Instead of an expanded last minute timer on the face of the clock, the BHB Special features a revolutionary 5 minute timer that allows players to manage their time more effectively right down to the last second. This clock is also available with a quantity-based discount. If you are planning to purchase several clocks for classroom or club use, this discount could save some money. The ZMart Fun II is an earlier version of the ZMart Pro Digital Chess Clock mentioned in this chess clock review. Though it doesn’t have all the functionality of that robust model, it is still a great budget option for buyers who don’t want to make a large investment for a chess clock. 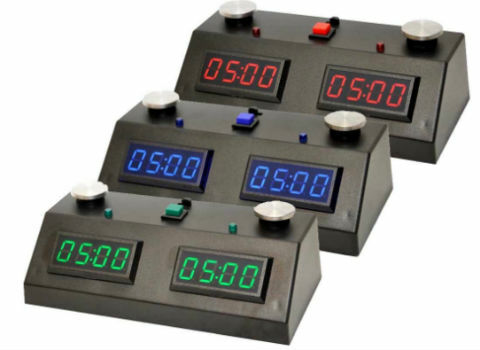 The ZMart Fun II Chess Clock has a black exterior, but the display comes in 3 different color options- blue, red, or green. The frame on this model is plastic rather than metal, which explains its reduced cost. Carrying cases are available and recommended to reduce wear and tear on the plastic. This may not be the most durable of chess clocks or the one with the most features, but it is still a perfectly respectable clock and will tide you over until you feel like investing in something more robust. 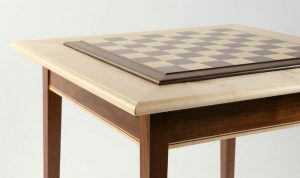 If you are just a casual chess player, you may never need anything more than what this offers. This chess clock runs on 4 C batteries which will give you 1600 hours of play time. 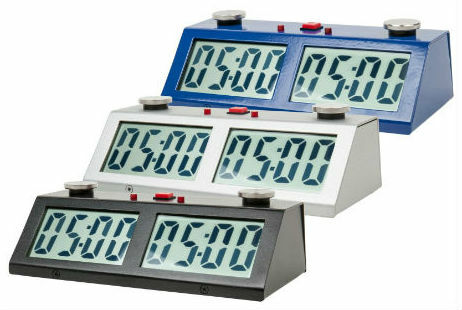 Its low cost and ease of use makes this electronic chess clock an excellent choice for a classroom or club setting. This classic chess clock is a favorite among chess players because of its timeless design, clear display, and affordable price. The INSA Wooden Mechanical Chess Clock has a large display that will catch the eye of anyone in the room, making it very easy to read at a glance during play. It is also made from high quality, durable materials and encased in a solid wood frame. The quiet click of the internal mechanics and the elegant design of this clock’s exterior make it perfect for any player who prefers a more traditional chess clock. However, because this is a mechanical chess clock and not a digital one, it is somewhat more limited in terms of features and functionality. For example, it does not have a time delay and is therefore not recommended for US Chess Federation rated play. This chess game clock also can only count down, not up. The most advanced technology featured in this chess clock is the improved last minute time scale that alerts players when their time is running short. All in all, this is a beautiful clock that would be perfectly suitable for home use or display, but in terms of tournaments or federation play, it is simply not practical. The mechanical elements of the clock are endearing, but they can’t stand up to the features of digital chess clocks in a competitive environment. If you’re a casual chess player who enjoys a friendly game at home, this chess clock should be perfectly adequate. However, if you plan to get involved in a lot of tournament play, you may want to keep looking for something with a more robust feature set. This is a portable chess clock that is a great purchase for anyone who needs to have a chess clock on them at all times. After all, you never know when you’ll be able to squeeze a quick game in! 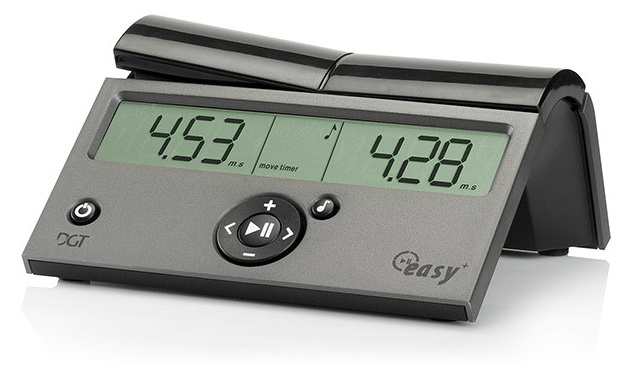 It also makes for a great travel clock that won’t take up a lot of precious room in your bags. The DGT 960 digital chess clock can also generate 960 (Fischer Random Chess) starting positions for you with a simple press of a button. It operates on one button battery that can last for up to 2 years. This portable electronic chess clock is one of the first and only chess clocks to feature a foldable design that allows it to fit into a shirt pocket. 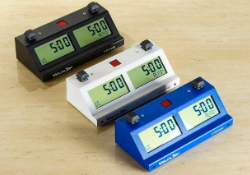 The DGT 960 chess clock has a hinged base that folds in on itself to protect the buttons and display when not in use. In its folded state, it measures only 5 inches long, 2 ⅝ inches wide, and 1 inch thick! It’s impressive to think that something so small can still provide so many timing options and computing power, along with a sizable 4×1 inch display at such a great price. 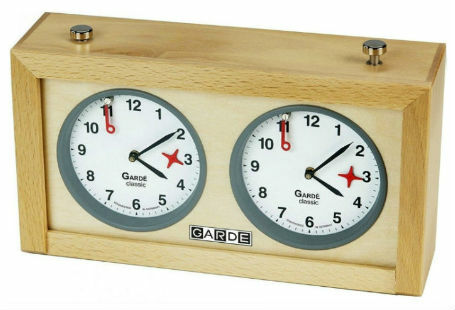 This product is an updated version of another very popular chess clock made by DGT. It won’t be winning any awards for best chess clock any time soon, but it is a good, reliable clock that’s designed to be easy to use rather than being state of the art. 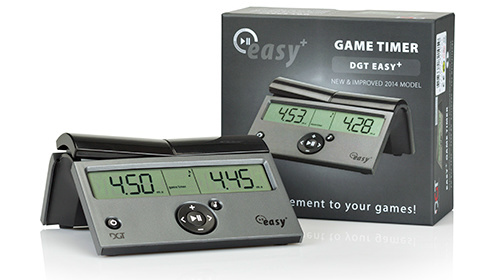 Most people don’t need or use all of the bells and whistles on the fancier chess clocks anyway, so if that sounds like you, The DGT Easy Plus Timer Digital Chess Clock could be a great choice. The DGT Easy Plus Timer Digital Chess Clock is an affordable chess clock that has all the features that a beginning chess player is likely to need. 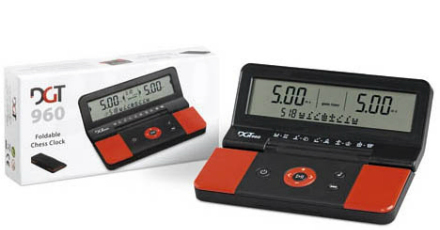 It has both a count-down and a count-up mode, as well as modes designed for handling delays and bonus time. With this clock, you can run a game lasting up to 9 hours and 59 minutes, though you may want to call it quits long before that! The time limit is primarily due to the size of the screen, since this is such a compact chess clock. The whole clock measures only 6.3” x 5.9” x 3” but the display is clear and easy to read, not at all crowded. This little clock is easy to throw in your chess bag or a pocket so you can take it along wherever you need to go. Good luck doing that with some of the fancier chess clocks! This is the best chess clock for beginners or people on a budget who really just need basic functionality from their chess clock. It’s easy to use, and simple enough that you won’t need to consult the user manual every time you want to play a quick game. 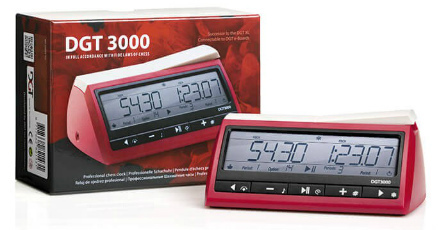 In stark contrast to its older brother the DGT 3000, the DGT 1002 is one of the simplest chess clocks on the market. It is very easy to understand and use for any player, no matter their age or level of tech savviness. The DGT 1002 Digital Chess Clock is a great option for the chess player who is just starting out, or anyone who wants a simple, no frills chess clock with a price tag to match. This affordable chess clock operates on just one battery and has a clear, crisp display that is easy to read from a distance. It also only has 4 buttons to minimize confusion: Power, Start/Stop, + and – which are used for adding and subtracting time. It couldn’t be simpler! While the DGT 1002 does not support time delay, it can be used with bonus increments so that you never run out of time, if you choose to play that way. It may not be good in a competitive or tournament setting, but for casual play or home use, this little chess clock can get the job done just fine. 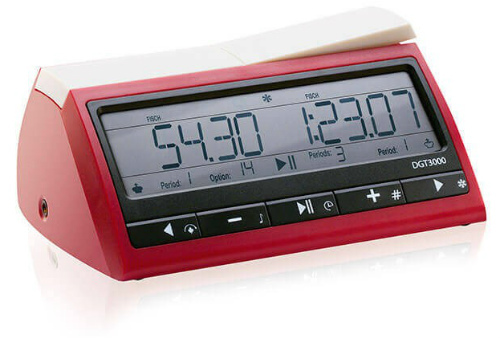 The DGT 1002 is undoubtedly a simple and user friendly clock designed with ease of use in mind above all else. Because of this, it does sacrifice some functionality, but the price simply cannot be beat. Why Any Competitive Chess Player Needs a Chess Clock. Many chess competitions require competitors to bring along their own equipment to play with, which includes chess boards, sets of chess pieces, and chess clocks. Some organizations will even forbid a game to start without the clock in place. For this purpose, an app just will not cut it – it will not be accepted by the judges. A tournament chess set is simply not complete without a reliable chess clock. If you’re going to invest in a nice chess clock to enhance your playing experience, you might as well get one that meets regulations, in case you ever do want to play competitively. When buying a chess clock, look for one that is durable, easy for you to operate, fits within your budget, and has the features you need, such as a delay feature, which is being used in more and more tournaments worldwide. Some other factors to consider are the clock’s aesthetics, materials, and whether it runs on batteries or needs to be wound. The choice between analog and digital is a personal preference, and we’ll include both styles in this list of reviews. Where Can I Buy a Chess Clock? The first thing you’ll need to consider is where you’re going to purchase your chess clock. 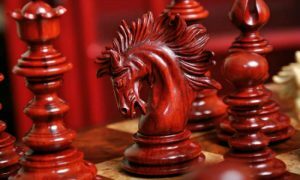 There are a number of specialty stores you can buy from online, but you may find it difficult to come up with more than a few options if there isn’t a chess store in your area. 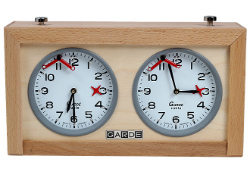 Major retailers may only stock one or two brands of chess clocks, if they even have any at all. To keep your options open and get the most possible bang for your buck, we recommend shopping online. You’ll be able to see tons of options that aren’t available in the stores near you, and even with shipping costs, the prices are often better online than in brick and mortar stores. Of course it depends on how you plan to use your chess clock, but in general, there are a few key features that you should make sure any clock you’re considering has. The first is a delay function, which is becoming increasingly commonly used in tournaments across the United States and elsewhere. You’ll want this feature in any digital chess clock you’re considering, and if you can find it in an analog clock, that’s a definite bonus. For clocks that run on batteries, you’ll also want a low battery warning. Believe it or not, some manufacturers overlook this feature and there is nothing worse than being interrupted in the middle of a game by a dead clock. The most important things you’ll need out of a chess clock is a display that’s easy for you to read and features that are easy for you to use. If you can, take a sneak peak at the user manual and make sure that it make sense to you. It’s no good having a top of the line chess clock with all the bells and whistles if you can’t figure out how to use any of them! Which is Better- Analog or Digital? This is a matter of personal preference, so if you have a strong preference for one style or the other, go with your gut. That being said, Digital Chess Clocks these days almost always have vastly more features and functionality than their analog counterparts. Of course, many think that analog chess clocks have more aesthetic appeal. They certainly look more at home on top of high-end chess tables than their digital counterparts. It all comes back to the classic question of form versus function. If you are a casual player, you should be able to get away with using an analog clock, as long as it is well made and remains reliable. For home use, the features of a digital clock may not be as important, and an analog clock doesn’t distract from the beauty of antique wooden chess sets or chess boards. Professionals or those who compete in tournaments regularly really should have access to a full feature digital chess clock, even if you only use it for tournament play. There are a lot of functions that will be expected during tournaments that analog chess clocks just won’t be able to deliver. If you really love the look of the Analog Chess Clocks, you can always buy one as a decoration and use an electronic chess clock for actual game play (For example read the Garde Analog Chess Clock review above). Chess clocks, either digital or analog, come in a wide variety of materials and finishes. 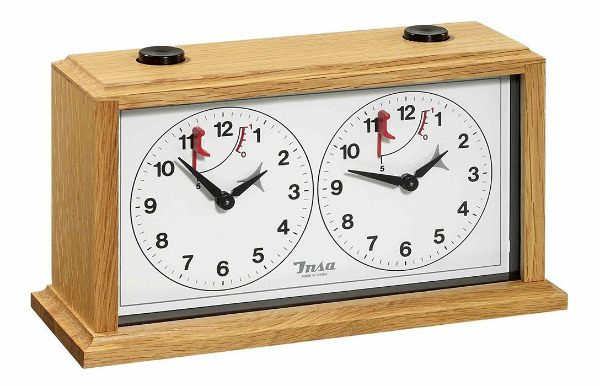 It’s common for analog clocks to be framed out in wood, but plastic models are also available. Digital clocks are more often than not made out of plastic, but high-end metal options are out there as well. You should give some thought to the material your clock is made of because it says a lot about the durability of the item. You may also choose to match the material of your chess clock to the material of your chess set. Some people have different chess clocks to go with each of their chess sets. It’s up to you! Metal and wood are going to last a lot longer than plastic, and they’ll be harder to damage as well. This is an important consideration if you’re buying a chess clock for a child to use, or if you’re looking to make an investment in something that will hopefully last you for the rest of your life. 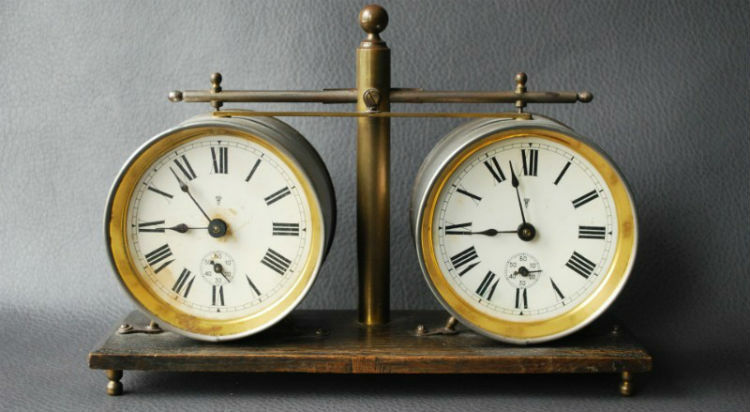 Another note on durability – analog clocks typically break much sooner than digital chess clocks do, simply because the moving parts inside them get worn down after repeated use. This is another reason that analog clocks may be better as decorative items adorning a bookshelf or chess table rather than actual instruments for regular use. 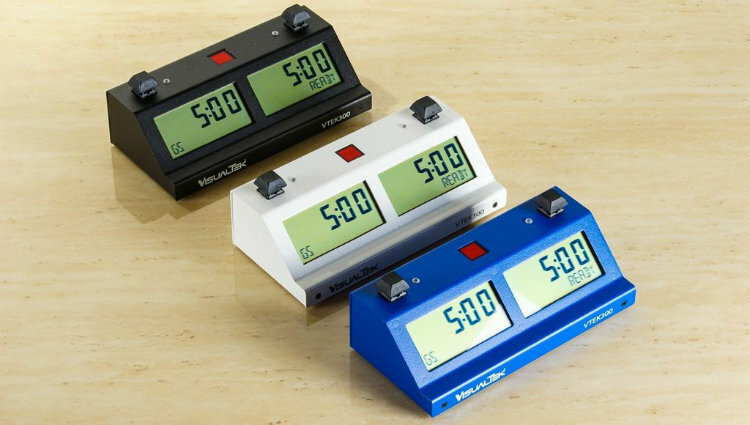 There are a few brands of chess clock makers that are well respected among professional players and generally have a corner on the chess clock market. This is not to say that all products made by that brand will be flawless, nor that all products by an unknown brand are bad. Of course there will be exceptions in either case, but as a general rule, trusted brands are trusted for a reason. Take the brand reputation with a grain of salt, but do still take it into consideration. If you have tight budget constraints, that will severely limit the chess clocks that are an option for you. You can still find great options within almost any price range, but it will be a bit harder and more time consuming to track them down. If you know that you can only spend a small sum on this purchase, do yourself a favor and don’t go looking at the most high-end chess clocks for sale on the market. That is a recipe for disappointment. Do your best to stick to considering cheaper chess clocks that are within your budget, rather than falling into the temptation of “window shopping” and gawking at models that are twice as expensive as you can afford. If you can avoid that, you’ll ultimately be much more satisfied with your purchase than you would have been if you were mentally comparing it to the other model. In the end, you just have to make your choice and stick to it. If you’ve read our reviews and put in the proper amount of research and thoughtfulness before buying your chess clock online, you’ve probably made a good choice. Many of these chess clocks come with warranties, so if anything does go wrong, you’ll be able to have it fixed. Make your decision and stick to it, and you’ll be well on your way to enjoying your brand new chess clock. 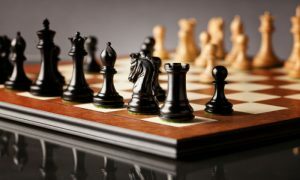 Chess Sets – Find the best chess set for you to complete the ultimate chess experience. 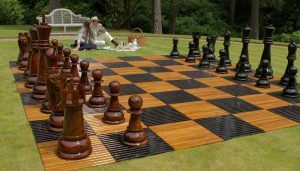 Chess Tables – Buy a chess table with suitable storage for your new chess clock. 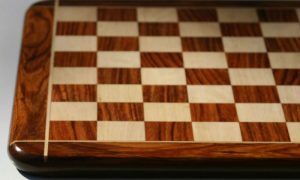 Chessboards – Get pro by matching a new chess board to your chess clock. Chess Pieces – Spoil yourself with a new chess pieces set in addition to your new chess clock. 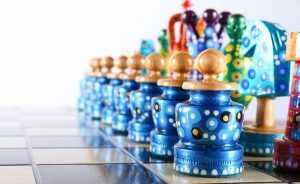 Online Chess Stores – Our reviews of the best online chess stores in 2019. I am a total beginner, and I have never used a chess clock before. Should I get one? I can probably afford the cheapest I see online, a Leap Model PQ9907. But, do I really need a chess clock? Will it make my learning better? I am sure I will not happy if I buy something that I may outgrow in the long run. The next model that I saw being used in local tournaments is twice as expensive. I do not even know what features are most important. Chess clocks are necessary if you are a competitive chess player. It also necessary if you are playing in a chess club or school. Otherwise, you should start playing chess without a clock and when the time comes, you’ll understand if you need a chess clock or not. Anyway, the prices of the digital chess clocks today are very low, around 20$-40$.